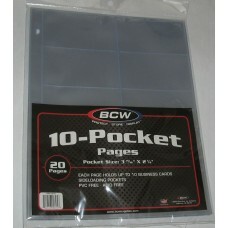 Case of 500 BCW Pro 10-Pocket Side Loading Business Card Album Pages. Packaged as 25 packs of 20 pages per pack. The BCW Pro 10-Pocket side loading business card page is an acid-free, archival quality product that is designed for the safe long-term display and protection of business cards. Features high-clarity polypropylene and side-loading pockets with strong welds. Designed to fit most standard 3-ring binders and albums. 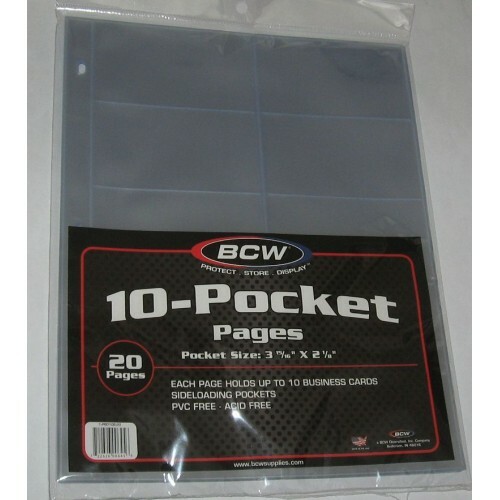 Do you have any questions about Case of 500 BCW Pro 10-Pocket Business Card Album Pages archival binder sheets?